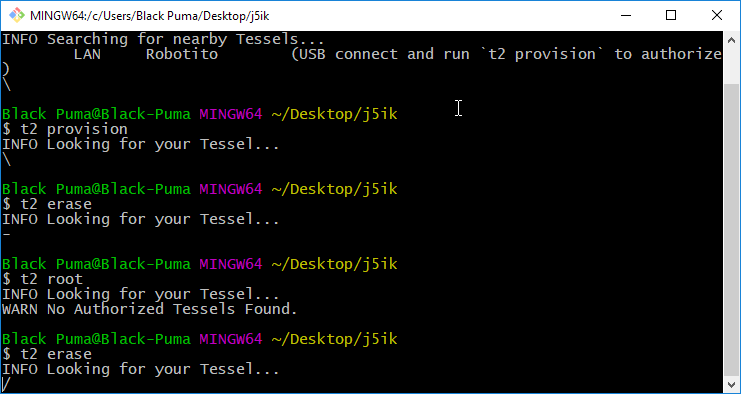 I've pushed the application to my board, it worked fine after all, then I want to erase this application on my board using the command t2 erase while is connected via USB... it took more than 15 minutes, so it seems is not working, I'm desperated. 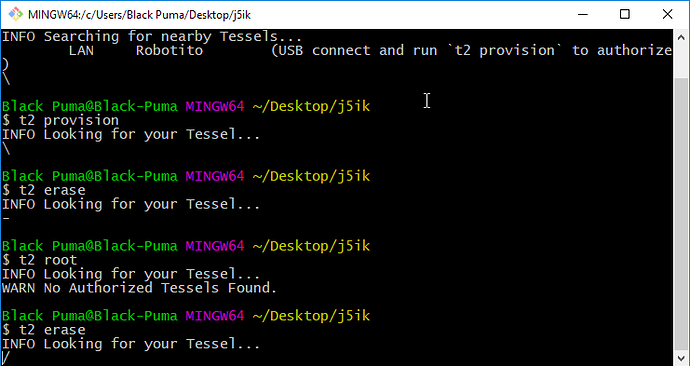 That's not the erase operation that's taking too long, something else is preventing your Tessel from being found. I recommend that run t2 restore to restore it to factory settings. I didnt know this command exists, it worked, thank you!